I've had these pants for a while now but didn't know what to pair them with. I went with this white peplum blouse because it completes the outfit without distracting from the pants. I added the lavender necklace from my last post, which matched perfectly with the pants and neutral accessories. I've always had a love for florals and purple, and these pants are a beautiful mix of my favorite things. I love that top!! I wish they had an H &M near me!! LOVE your outfit! Your pants are so fabulous! 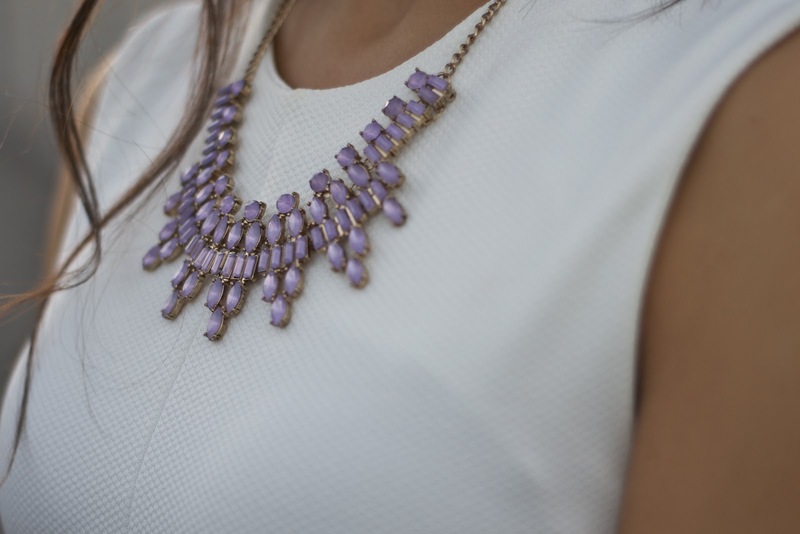 We love purple this season too @lionesquestyle ! 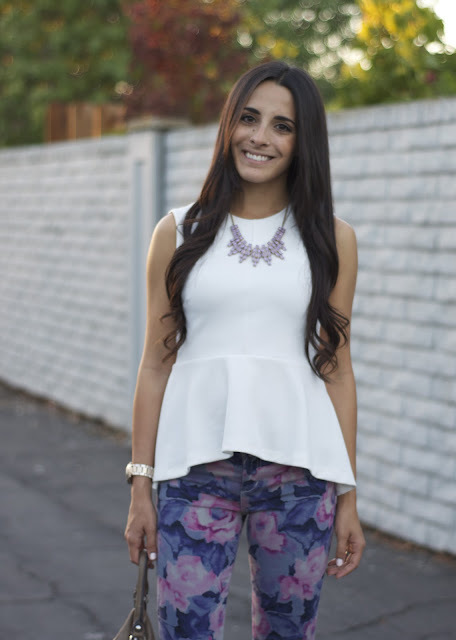 We love purple & Florals this season too @lionesquestyle ! This is a great look! Your blog is so inspiring. You're so thrifty but still so fashionable!